Erik’s Fat Boy Motivation: there will be those moments when you will feel that way during your workout and afterward. 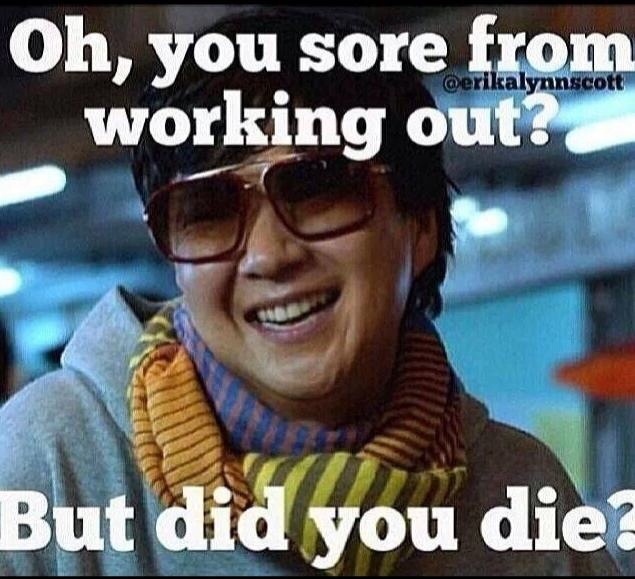 But unless you have injured yourself all you have done is work a body that had been at rest for far too long. Yes, you will be sore so take a day off if you are just getting started or work a different muscle group so you don’t lose momentum. Either way, ensure you keep going! Next Next post: Bragging on my Bride!